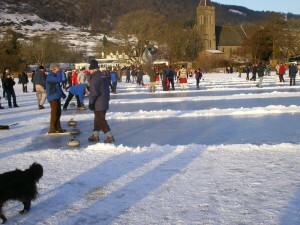 West Drip Farm, Stirling, Scotland, self catering accommodation in the heart of Scotland. There are so many fantastic Sunday strolls, walks and climbs within easy reach of our accommodation. It would be impossible to list them all. Dumyat : a straight forward climb (418m) to the summit with incredible views over Stirling and the whole of the Forth Valley. Ben Lomond : The most southerly Munro in Scotland. The Callander Crags : woodland walk leading to steep crags, with views over Callander, Loch Venacher, Ben Vorlich and the Mentieth Hills. The Falls of Leny : reached by peaceful woodland walks, abounding with birdlife, the river attracts canoeists who test their skills by passing over falls. 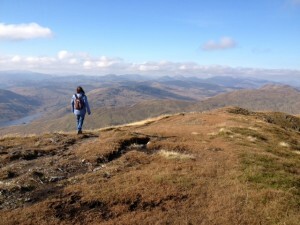 Trosssachs.co.uk website contains comprehensive information on walks, hills climbs and munros in this area.